For The Love Of Salads And Good Food! More often people relate the word ‘salad’ to a sad connotation of leafy veggies tossed in a pan served to you. But Andrea’s eatery gives a whole new twist to their salad menu. 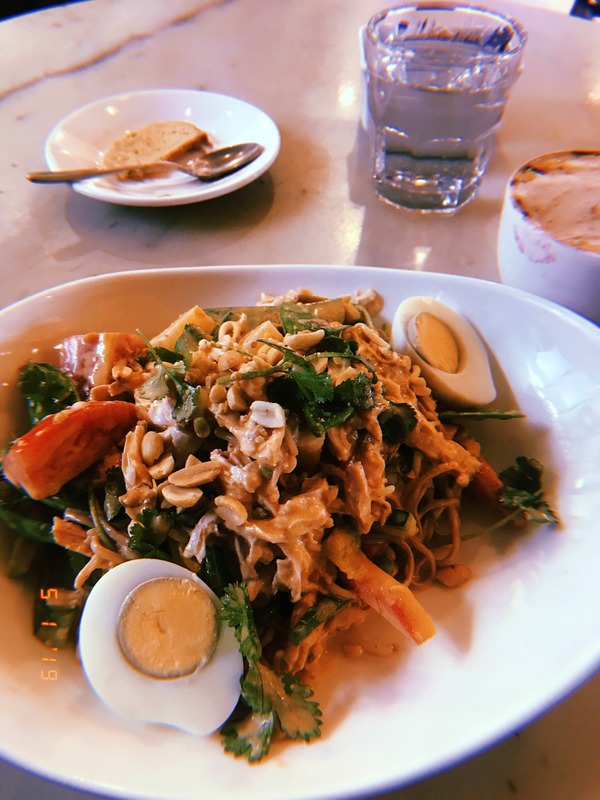 I tried their Indonesian ‘Gado Gado Salad’ and it was such a respite from the usual Caesar salads. The Soba noodles made with the Asian blanched vegetables is unique to Balinese style cooking. The coconut milk poached chicken just gave it the right creamy texture, while making sure the coconut flavour was not too strong on the taste buds. I especially liked the peanut dressing on top! I tried their cafe Mocha along with the meal and it was just right. Neither too chocolaty nor too strong. I judge a place by its coffee too 😅 Their menu boasted of some tempting Vietnamese and Thai cuisines as well, which I'm definitely trying out next time. So if you are headed to select city walk on a shopping spree, ditch the food court and try out some Asian delicacies here! It’s a small place so gets a little over crowded and you might have to wait a couple of minutes to be seated.